1. How Much Do You Want To Borrow? Are you looking for a financial solution to give your business a cash injection but lack the security or assets to use many forms of borrowing? Then an unsecured loan could be the solution for you. There are many financial services providers that offer unsecured loans that might suit your circumstances. We have explored what unsecured loans are available on the market. The table below gives a quick price comparison of the top UK unsecured business loan providers. * The facts and figures included here come from each company’s website and were accurate at the time of writing (October 2018) but may have since changed. Also, please keep in mind these may not be apples to apples comparisons as each provider offers different solutions. This guide should be used as a starting off point for more research on your part. Some of the features and benefits of iwoca’s unsecured business loan. iwoca offers flexible lending solutions to smaller businesses across Europe. They provide services to smaller businesses as they feel they don’t get the same access to financial support as larger businesses. They utilise technology to assess a business’ potential and risk and don’t rely on just credit scores. Iwoca’s offers loans from £1,000 to £200,000 on an unsecured basis with repayment terms of up to 1 year. They make the process simple with a quick online application, fast decisions and release funds as quickly as a few hours. The loan is truly flexible as they allow customers to repay early with no penalty as well as allowing customers to increase their loan up to their credit limit at any point. Some of the features and benefits of Barclays’ unsecured business loan. Barclays is a UK financial services provider that offers a wide range of business financial products which include bank accounts, overdrafts, mortgages, cash flow finance and asset finance which are available to businesses who are new or existing customers. Barclays offer unsecured business loans to all businesses depending on their circumstances. They offer unsecured loans from £1,000 to £100,000 over repayment periods from 1 year to 10 years. The loan offers flexible terms which allow you to select the amount and repayment length on fixed interest rate basis. Funding can be received in as little as 24 hours depending on your loan terms and you may be able to take a repayment holiday. Some of the features and benefits of NatWest’s unsecured business loan. NatWest is part of the RBS Group of businesses that are UK based banking and financial services group. NatWest provides financial services to businesses in England and Wales which include a range of lending products such as credit cards, overdrafts, loans, mortgages, invoice finance and asset finance. NatWest offers an unsecured loan which requires either a personal, direct or member guarantee. The small business loan offers amounts from £1,000 to £50,000 which can be repaid over 1 to 10 years. The loan is a fixed rate loan that has no arrangement fees or early repayment fees. Some of the features and benefits of Lloyd’s unsecured business loan. 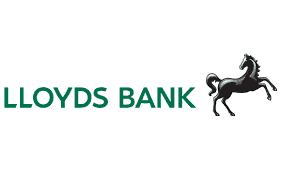 Lloyds Bank is a well-known banking and financial services provider that offers a range of products to businesses which include lending products for small to large businesses as well as new business start-ups. These products include overdrafts, loans, invoice finance and asset-based finance. Lloyds Bank offers two loans that can be secured or unsecured loans which are called a Base Rate Loan and Fixed Rate Loan. Both loans offer loans from £1,000 to £50,000 on repayment terms from 1 to 10 years. The Base Rate Loan is a variable rate loan that tracks the Bank of England base rate. The Fixed Rate Loan’s interest rate is a fixed. Some of the features and benefits of Santander’s unsecured business loan. Santander is an internationally renown banking services provider who offers a wide range of business financial services which include lending products such as overdrafts, loans, invoice finance and asset finance. Santander offers several loan solutions which include the Small Business Loan that requires no security. The Small Business Loan is only available to existing customers and it offers loans from £2,000 to £25,000 with repayment terms over 1 to 5 years. It is a fixed rate loan that is tailored to help small businesses. This loan has no arrangement fee but early repayment charges may apply. Some of the features and benefits of TSB’s unsecured business loan. TSB is a UK based financial services provider that is part of a larger banking group called the Lloyds Banking Group. TSB offers a range of business financial products which including lending products such as loans, overdrafts and mortgages. TSB offer 2 business loan products on an unsecured basis. The Base Rate Loan is a variable rate loan that is available for loans from £1,000 which are repayable over 1 to 25 years. The Fixed Rate Loan offers a fixed interest rate of loans from £1,000 to £100,000 that are repayable over 1 to 10 years. These loans have an arrangement of up to 1.5% and repayment holidays may be available. Some of the features and benefits of Bank of Ireland’s unsecured business loan. Bank of Ireland is part of the Bank of Ireland Group who has a diverse range of banking and financial services businesses that dates back to 1783. Bank of Ireland provides business banking services to businesses in Ireland only. Bank of Ireland has one loan offering that is pitched at small to medium-sized businesses and offers loans from €1,000 to €120,000 with no arrangement fees. This loan is a flexible loan that is tailored to their customers’ needs and their financial position. They offer a competitive loan product that can be applied for online and offers a fast decision within 24 hours. Some of the features and benefits of Bank of Scotland’s unsecured business loan. Bank of Scotland is one of the businesses that form the Lloyds Banking Group. Bank of Scotland offers a wide range of business banking solutions to businesses of all sizes and they tailor they products by grouping them by business turnover. Bank of Scotland offers three loans that are available as secured or unsecured loans. The Base Rate Loan starts at £1,000 and has no limit and its repayment terms are from one to 25 years. The Fixed Rate Loan is made up of two loans, the first is for £1,000 to £50,000 and the second for loans over £50,000. The first loan is available for up to 10 and the second loan for up to 25 years. Some of the features and benefits of Yorkshire Bank’s unsecured business loan. Yorkshire Bank is a part of the Clydesdale Bank group. Yorkshire Bank was set up in 1859 and it has a long history of supporting businesses through its business banking and financial products such as loans, overdrafts and credit cards. Yorkshire Bank offers two unsecured loans which are the Online Business Loan and the Enterprise Finance Guarantee. The Online Business Loan is a fast-online loan that offers fixed interest rates for loans of £10,000 to £150,000 and gives an instant decision. The other loan is the Enterprise Finance Guarantee loan which offers loans with government-backed support to offer security when businesses don’t have the security they need. This loan offers borrowing from £25,001 to £1.2 million for periods up to 10 years. Some of the features and benefits of Clydesdale Bank’s unsecured business loan. Clydesdale Bank is part of a banking group in the UK which includes Yorkshire Bank. 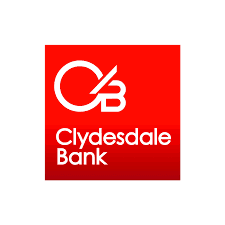 Clydesdale Bank offers business banking solutions to businesses in Scotland only. Their lending service offers loans, overdrafts and credit cards. Clydesdale Bank doesn’t offer unsecured business loans except for the Enterprise Finance Guarantee loan which is a loan offered to businesses that lack the security to access standard loan products. The Department of Business, Energy and Industrial Strategy guarantee 75% of the loan but you will remain 100% responsible for the loan. The loan is available to businesses with a turnover of up to £41 million and you can borrow £25,001 to £1.2 million over 1-10 years. Some of the features and benefits of Funding Circle’s unsecured business loan. Funding Circle is a fairly newly established financial services business who brings both investors and borrowers together to create a funding mechanism which allows them to work together. The services they offer are business loans and investment opportunities for investors. Funding circle offer unsecured loans from £10,000 to £500,000 to business of all sizes on fixed interest rates. They offer repayment terms from six months to five years. Their application is simple and decisions can be delivered fast and funding received as quickly as within 24 hours. They also do not charge early repayment fees when you repay in full and they won’t charge interest on the remaining loan length. Some of the features and benefits of Esme’s unsecured business loan. Esme is a young financial services business as it was only set up in 2016 and it was backed by NatWest to help the business develop. NatWest continues to underwrite the loans that Esme provide. Esme offers hassle-free loan options to businesses that need support to help them grow. Esme provides their loan services to both businesses direct and to brokers. Their loan product offers unsecured loans from £10,000 to £150,000 to businesses that are repayable from one to five years. Esme has cut the red tape and has made their loans simple and quick to take out so businesses can access funding as soon as they need to. Some of the features and benefits of Royal Bank of Scotland’s unsecured business loan. Royal Bank of Scotland is a renown Scottish bank that has been trading since 1727 when it began in Edinburgh. They are one of the biggest banks in Scotland but also operate across Great Britain and they form part of the RBS Group. Royal Bank of Scotland has a variety of borrowing options that are tailored to the business size with distinct offerings for business in three financial turnover categories. Their small business loan caters for businesses with a flexible offer that can be unsecured. Loans are offered from £1,000 to £50,000 which can be repaid over one to ten years. Some of the features and benefits of Cooperative Bank’s unsecured business loan. Cooperative Bank is an ethical banking and financial services provider who deliver their services in a fair and equitable way and whose lending policies are customer-led and their ethics influence who they will lend to. Their lending services include overdrafts, loans and credit cards. Cooperative Bank has a variable rate loan that can be available as an unsecured loan in some circumstances but an application is needed to find out if you can be offered the loan as unsecured. The variable rate loan offers loans of £25,020 to £250,000 that are repayable over 1 to 15 years and interest is applied on a monthly basis. Some of the features and benefits of Fair Finance’s unsecured business loan. Fair Finance was established in 2005 and is a financial services provider that offers a range of finance products. They offer a fair and transparent service that was designed to help businesses to access affordable finance. They are an ethical business that reinvests its profits. Fair Finance offers a single loan product that was designed for small businesses and they have a transparent offer that uses online tools to assess your eligibility. They provide fast loans for £25,000 to £75,000 that are repayable over 6 months to 3 years. Some businesses are eligible for unsecured loans and some may require personal guarantees. Some of the features and benefits of Clearfunder’s unsecured business loan. Clearfunder is a small loan business that provides loans to other small to medium sized businesses which they feel that they are able to understand and emphasise with better because they are one themselves. They offer an alternative to traditional banking lending solutions. Clearfunder only offers loans which they provide to small to medium-sized companies which they consider all circumstances and most industries. Loans range from £10,000 to £100,000 on tailored loan terms which they deliver speedily and affordable. They have created their loans on easy to understand terms and they provide support to help businesses get the right loan for them. Some of the features and benefits of Cubefunder’s unsecured business loan. 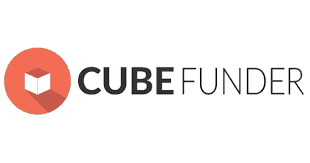 Cubefunder is a small financial services provider who only offers loans to small to medium-sized businesses. They established their business to cater for small to medium sized as they found a gap in the market to support smaller businesses with financial support. Cubefunder have built their loan product in a flexible manner so that they can tailor it to their customer’s needs. They offer loans starting from £5,000 to £100,000 that can be extended at any point with prearrangement. They provide a fair loan service that does not charge early repayment fees or automatically charge late payment fees. Some of the features and benefits of Fleximize’s unsecured business loan. Fleximize offers a different type of loan that does not require equity but offers finance based on your revenue at a fixed cost through a percentage of your future revenue until the loan is repaid. The loan amounts are offered as either above or below £500,000 and over £500,000 is only available to established businesses. Their loans are available as unsecured loans which are available for up to 48 months. Their loans offer flexible terms with the ability to repay the loan early without penalties, top up the loan amount when needed and be able to repayment holidays. Some of the features and benefits of Nucleus Commercial Finance’s unsecured business loan. Nucleus Commercial Finance offers a wide range of business finance products which include property finance, invoice finance, asset-based lending, and specialist finance products. They offer several loans which are Cash Flow Finance, Property Loan and Business Cash Advance. Their unsecured loan product is called Cash Flow Finance which offers loans from £25,000 to £150,000 that can be repaid over periods from three months to three years. The loan has an online application that is followed up by a telephone consultation and you will need to provide documents to support your application. Once these have been completed you can receive the funding the same day in some cases. Some of the features and benefits of rebuildingsociety.com’s unsecured business loan. 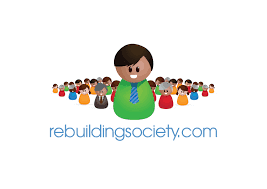 Rebuildingsociety.com is a peer-to-peer based financial platform that allows lenders and borrowers to communicate better about the loan proposition. The platform enables lenders to invest and get to know the business/es that they are lending to. It allows borrowers to publicise and engage with lenders about their business and why they would want to invest with them as part of the loan. Unsecured loans are available from £25,000 to £300,000 over repayment terms of 6 to 60 months and they will require you to provide a personal guarantee. Your loan will be posted in the community where lenders can ask questions before offering a loan rate. Borrowers can choose between the loans offered to them. Some of the features and benefits of Spotcap’s unsecured business loan. Spotcap is a business financial services provider who offers services in the UK, Europe and Australia. They offer tailored loan solutions to a wide range of businesses. They use a simple online application form to assess your business and they use technology to make the process quicker and they use recent business performance rather than using credit scores, business plans and forecasts to base a decision on. Spotcap’s loans offer up to £250,000 on repayment terms of one month to two years. To be eligible for the loan your business needs to be in the UK and have been running for over three years, the turnover needs to be at least £500,000 with a proven profitable background. Some of the features and benefits of Start Up Loans’ unsecured business loan. Start Up Loans is a loan business that was set up in 2012 to help businesses that are in their infancy and to provide finance at affordable rates and support them through growth. They are a subsidiary of the British Business Bank and they deliver the government’s Start Up Loans programme. Start Up Loans offer low-interest loans that are provided with dedicated business support to not only fund businesses but to also aid their growth through a dedicated 12-month mentoring programme and resources. Loans are simple and the same regardless of your status and the interest rate is fixed at 6% for loans up to £25,000 that can be repaid over one to five years. Some of the features and benefits of Ultimate Finance’s unsecured business loan. Ultimate Finance is an established financial services provider who has been delivering its services for 17 years to businesses of all sizes and types. Their services include a variety of lending solutions such as loans, industry financing, supply chain solutions and hire purchase agreements. Ultimate Finance offers only unsecured loans that are backed by personal guarantees for loans from £5,000 to £100,000 that can be repaid in periods up to 12 months. Their loans are speedy with a simple online application which will give you a loan decision within one working day and after the decision, the money will be transferred within a further working day. Please note SmallBusinessPrices.co.uk is an information website and not a lender or broker. We are not regulated by the FCA. If you’re unsure about your borrowing needs, please consultant a certified accountant and/or other financial professional. * Please also note we have an affiliate relationship with iwoca. This means they pay us a commission if you apply for and receive funding for a loan via a link from our website. This comes at no cost to you and helps keep this website free. However, we feel it’s important you know. 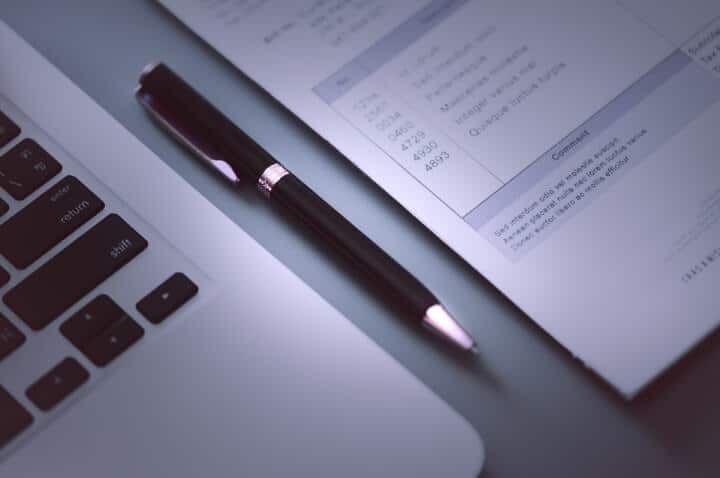 Business Loan Calculator: How Much Can You Borrow In 2019?